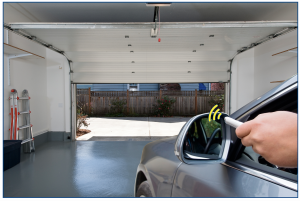 In the previous blog, in which we talked about the most common methods of access to garages and locks fitted as standard, we mentioned the existence of electric locks for better protection of goods stored in automated garages. 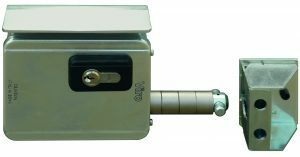 Viro electric locks, of which there are several models, represent the ideal solution as they are suitable both for automatic up-and-over and sectional doors. V09 Electric Lock for Motorized Sectional Doors with Rotary Pawl. 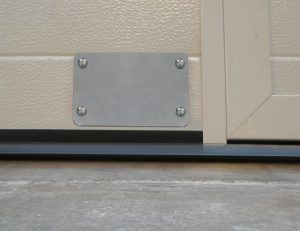 the fixing plate and the galvanized steel floor striker allow the installation of the V09 rotary pawl lock on the sectional door, connecting it to the automation unit by cable. 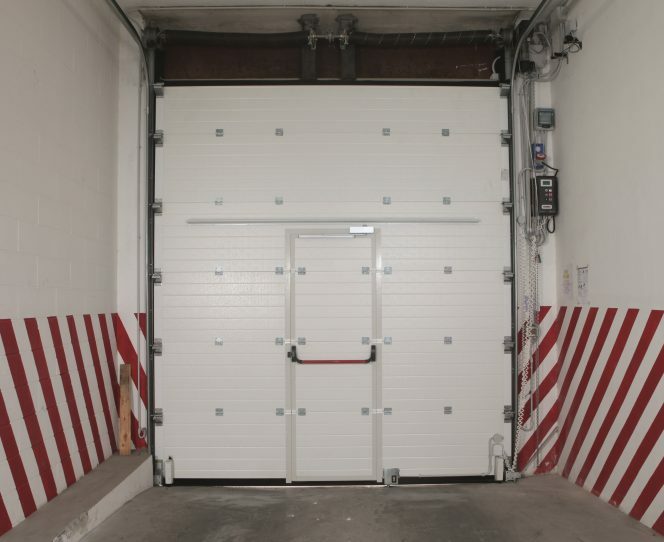 The main photo shows the application of the V09 lock on a motorized sectional door and the details are shown below. 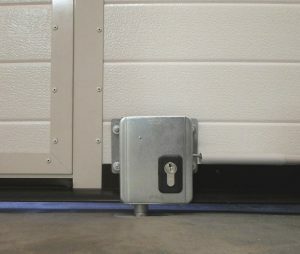 Detail of Vertical Application of the V09 Electric Lock on Motorized Sectional Door. 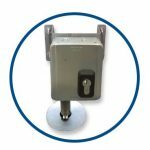 When the rotary pawl deadbolt closes it is anchored inside a sturdy, round-shaped striker with a pull-resistant bar, cemented flush with the floor. 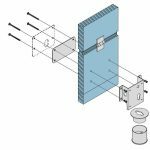 The particular mechanism of the deadbolt of the V09 lock allows a good operation of the lock over time, as it is able to tolerate the possible differences which could arise between sliding door and floor due to climatic variations and consequent thermal expansion. 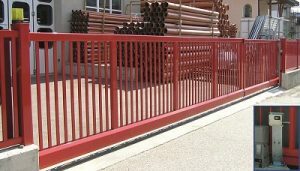 The floor striker, on the other hand, thanks to the internal shape and the removable upper part, prevents any small stones from obstructing the closure of the deadbolt and water stagnation. 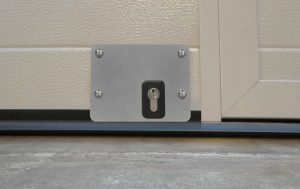 As already mentioned, it should be noted that the V09 electric lock is also ideal for application on sliding doors. For more details see the V09 technical sheet.